This week’s interview features the Fatfish Animation collective. They are making 4 different animation series to be presented at the upcoming Annecy International Animation Film Festival (MIFA) to be held from 9th to 14th june 2014. 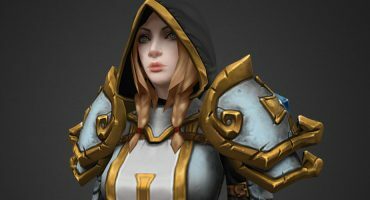 They’re using a broad range of online tools to help their projects succeed and have an interesting transmedia approach that we thought worth sharing with Sketchfab’s community. – Les Lunes d’Aldrin : An adventure saga, quests and abundant landscapes are part of this universe. – Barababor : A short format humoristic animation series featuring lost conquistadors! – Cosmotouristes : Action oriented, this project will feature space travelers, one new destination per episode. – Les Norms : A sitcom featuring Gordon, a young guy trying desperately to enter adult life. Hey guys, Could you introduce yourself to our readers: Who are you and where are you from? Alexandre (Cosmotouristes) : Hi, We are the Fatfish Animation collective. We are working as directors and digital artists on short movies, video mappings, and TV series projects. Fabien (Barababor) : We are the team behind Glouglouton : a video mapping, live projected during the international French event The Festival of Lights in 2012. We also made a teaser for the opening of the French comics festival, based in Lyon, called Lyon BD Festival. Yann (Les Lunes d’Aldrin) : We are from France and Switzerland (for Fabien). We met ourselves during our studies at Bellecour Art school in Lyon, France, and today, we are pushing the adventure further by creating this collective. Alexandre : We come the four from cartoon digital animation. We began as CG artistsand we are what you can called CG generalists, we know the global process of making a digital picture (modeling, rigging, animation,..). Antoine (Les Norms) : Before the collective, everyone took part on another projects : Destiny, Qallunaaq, Malife.tv and Quand j’étais petit; When I was a kid. Even if we were on seperated teams, we helped and supported each other. Sharing our knowledge and our tools -built especially for the production – was, without knowing it, the first step in our desire to create a collective. Everyone brings a different sensibility and different skills to the collective. But we are all focused on the story, the way to tell it and to develop it. Alexandre : Yann is the character technical director of the crew, he is building amazing tools that make our work easier and faster. Antoine is the animator and create the concept-arts for the final designs. Fabien is also in charge of the animation and is focused on solving technical problems but more on the global pipeline. And for me, I am in charge of developping and finding the digital look of the characters and the backgrounds. I gather all the assets previously made, adding the lighting, the effects, and the making the compositing, in order to obtain the final picture. Why make the big jump and manage your own projects from start to end? Yann : It’s a tough question, I think we always wanted to tell our own stories, to share what’s making us laugh, or situations that deeply touch us. We have the desire to drive and to manage teams and projects on ambitious and high-quality level productions. We had the idea about making a collective one year ago. The launch of the crowdfunding campaigns for our current projects decided us to concretize this. We want to use this fantastic four energy to be smarter, more efficient and more creative, and to have a more powerful voice to speak about our projects and our work. Can you give us some more details on your creative process? How did you came up with these 4 different projects? Our common ground is a willingness to develop a concept with the broadcasting constraints. We began the development of our projects in 2012. Antoine : I wanted to tell stories to teenagers/young-adults like in South Park and American Dad, were the family, the sarcastic humor and the questions of the daily life has a big importance. Yann : On my side, I like to tell more epical and serialized sagas into an universe of heroic-fantasy and science-fiction. Fabien : My goal, was to use slapstic humor to create funny situations with silly characters in an absurd quest. Alexandre : I like to tell stories about traveling, beautiful landscapes and re-discovering existing awesome places in the world with fun, action and adventure. Our process is quite simple but needs to be always focused on the final objective : a working and good-balanced story. First, we found ideas and very simple situations to follow. In the same time, we began to build the first draft of the characters, and by iterative process, to refine the global story gradually. We laid down all the universe in a big mess, and little by little we ordered everything in a more structured way. We also began to draw concept arts, and to sketch ideas. For us it matters a lot because of our graphic profiles. What were the high/lows you encountered so far ? What have you learned? Fabien : This experience allowed us to face real life situations, like project management, team management, client relationship and direction. That was an intense and enriching experience to be confronted with such responsibilities, from the beginning of a project to its ending. There are moments of happiness (validation of a layout, rendering of the first final shot, voice recording) but also tough times (production scheduling, human relations management..). Yann : Personally, I would honestly say that we learned a lot about human understanding. Let me clarify this: I often compare relationship of a team during a project with being in a couple. The first thing to do is to trust the people involved in the project, to understand their point of view, but to keep a clear direction that all will understand. I think that we are now more qualified to correctly communicate our intentions and ideas to bring the project to its objective. Can you talk a bit more about your transmedia approach? Fabien : Developing a transmedia-oriented projet is a good way to get more complex and richer universes. By it’s nature, the transmedia forces us to dig our concept and our ideas, to imagine way more things that we would have if we only aimed one screen. I am developing a whole archipelago that can be fully discovered only if you search on different media (video game, website). If you only watch the series, whih is the main media, you won’t know a lot about this very special and tropical place. Alexandre : On my side, my goal is to build an interactive link between the series and several apps where the community can discover new spots to visit and find out what makes these places unique in the world. 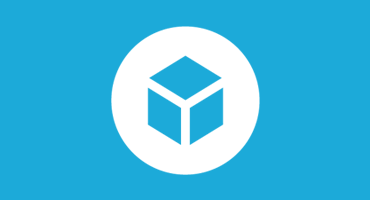 You have been using Sketchfab, why so? How does it help with your online communication? Yann : Sketchfab is an incredible tool. We always wanted to share and toeasily show off our 3D models to people who dont have a clue at how a 3D software works. Sketchfab made this possible. It gives us more choices and its more powerful to feature our models. Thanks to the upload plugins, the online material editor, and the visibility on the website. Now even our grand-mothers can orbit around 3D models, like we do in a 3500€ software ! What’s the next step after the end of your crowdfunding campaigns? Alexandre : We will attend the MIFA : the International Animation Film Market during the International Film Festival of Annecy, France. It is really one on the most prestigious opportunity to meet producers and broadcasters and to show them our projects. Our goal is to come up with – narratively and visually speaking – original and unique concepts, that respects all the constraints and expectations of this sector: format, technical feasibility and commercial viability. To achieve this, we have prepared our literal bibles, our presentation files, and, more importantly, we worked during ten month for the making of teaser or pilot episodes that illustrate the mood and the universe we developed. Our hopes is that, among the people we will meet, someone will have a crush for our work, and that, maybe, they will start with us a new adventure ! Want more interviews ? Check out our last interview with Philippe Graindorge, 3D aerial photographer.